Sumhuram is the ancient site of a trading outpost of the Hadramite kingdom of southern Arabia. 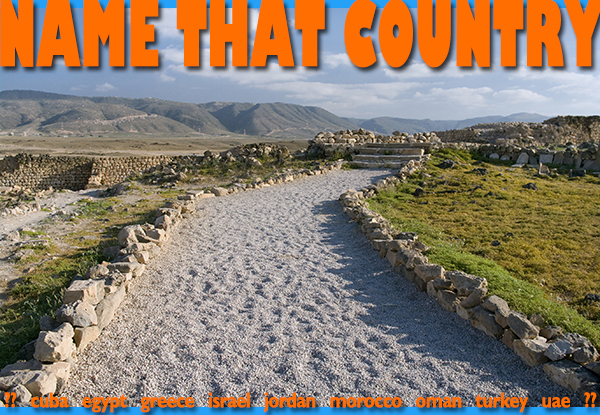 It’s located near the city of Salalah in the south of our mystery country. Sumhuram was a major port for the export of frankincense. The city dates to the 4th century BCE but its status as a trading port increased significantly in the 1st century BCE, when trade with the Roman Empire was established. Near by, Khor Rori (khor = creek) is an extension of Wadi Darbat, separated from the Indian Ocean by a narrow sand bar. 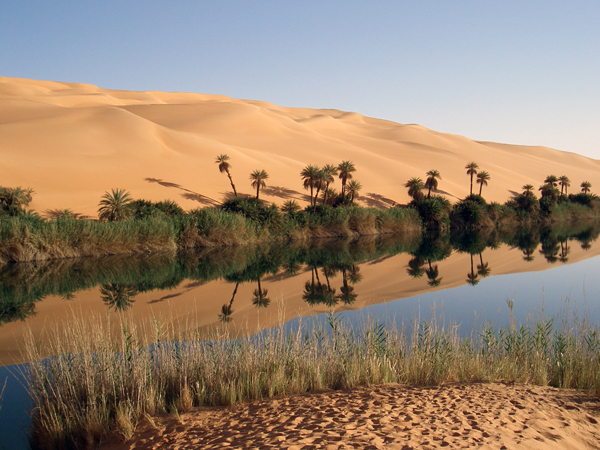 The fresh water attracts many species of birds and herds of wild camels. Deep in the desert of Arabia, a little girl named Zuleika lived with her mother and father, the tribal chief. They were way out there, so far off regular travel routes that they very rarely saw strangers. Zuleika loved her home, where she was perfectly safe and thoroughly treasured, but her active mind and open heart made her crave stories of people and places that were different from what she knew. Visitors brought their foreign ways, along with tales of pearly cities, lush gardens and endless oceans; and she always felt a little bit bigger after they left. One day, while Zuleika was out playing in the sand, she caught the slightest glimpse of movement far in the distance, beyond a sea of golden peaks and valleys, just at the edge of her world. You can imagine Zuleika’s excitement as the speck on the horizon grew steadily larger. Someone was indeed coming their way. She fetched her father the chief and, together with other men of the tribe, they watched the nearing stranger ride the desert swells, disappearing, then reappearing in better focus, until he was right in front of them. As if his arrival wasn’t thrilling enough for Zuleika, the stranger explained that he was merely an emissary come to announce the visit of the highly revered Sheikh Ben Nedi the following day. This was really a big deal and the whole tribe set to work preparing for the honored guest. In the Arabic world, hospitality was, and is, a serious business. Guests are treated with the greatest respect. They are made comfortable, given the best food and drink available, entertained, and even given gifts. As her parents and other tribal members readied their gifts for the sheikh, Zuleika began to feel very inadequate. She was moved to near bursting with pride and gratitude that such a great person would travel all the way to her remote settlement, but she had no gift to express herself in the traditional way. Zuleika’s mother told her not to worry, children were not expected to give gifts. But, expected or not, the sheik’s visit meant so much to her, she wanted desperately to give him something in return. She was so frustrated, she collapsed in tears at the foot of the village well. Her little body heaved in great sobs and heavy, splashy tears dampened a spot in the sand near the well. Just then, a fairy rose up out of the well and asked what all the fuss was about. Once Zuleika composed herself enough to explain, the fairy told her that a gift was already in the making and that she should come back to the well in the morning to find it there. Bright and early the next morning, before the sheikh arrived, Zuleika ran out to the well to find a tall, elegant tree laden with big clusters of brown fruit hanging high above the ground under a sparkling green crown. It was the perfect expression of her pure and generous spirit and deep down she knew it was no ordinary gift. When Sheikh Ben Nedi arrived he was touched and honored to receive the extraordinary tree, especially from such a small girl. Like Zuleika, he sensed the special importance of this gift and suspected it would come to mean a great deal to his people. From that day on, the date palm tree spread throughout the desert and is still today one of the greatest gifts known to Arabia. 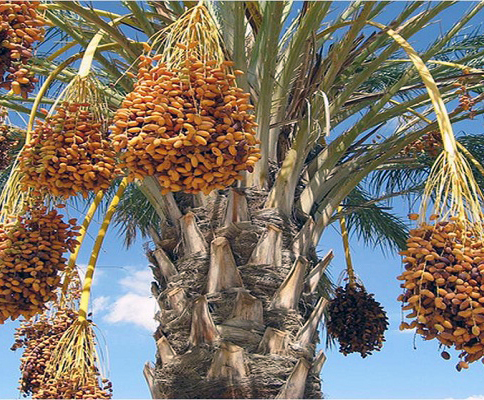 Food, shelter, medicine and fuel are just a few of the many uses of the date palm. To see the wonder tree in its natural habitat, visit the Arabian Peninsula with Ya’lla Tours USA. Click here.